A couple of FB friends have asked how I made the double-layered ribbon paperclips I’ve been using in my planner, so I took a few cellphone shots last night while I was making one. Here’s the scoop. 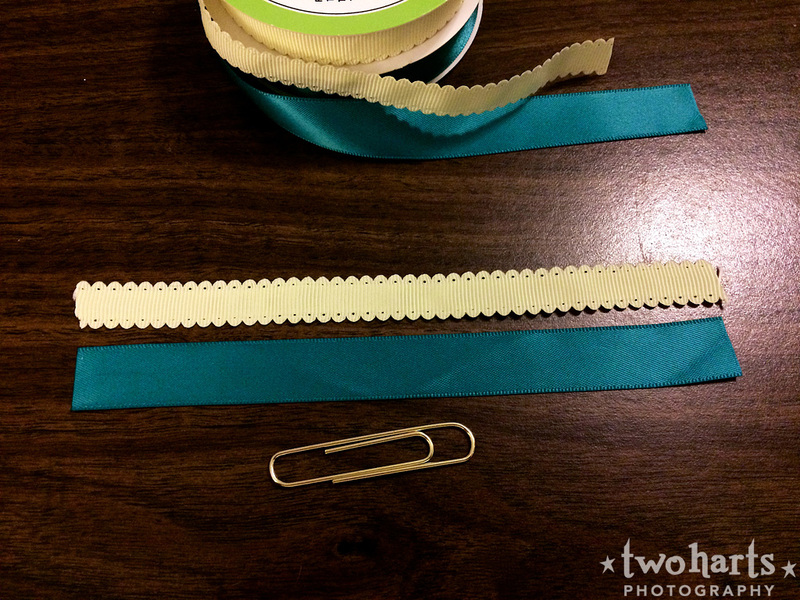 Step 1: Pick out two ribbons that coordinate, with one ribbon at least a slight amount narrower than the other. The “skinny” ribbon will be the one in front on the final paperclip. Cut a length of each ribbon about 2.5 times longer than your jumbo paperclip. Step 2. 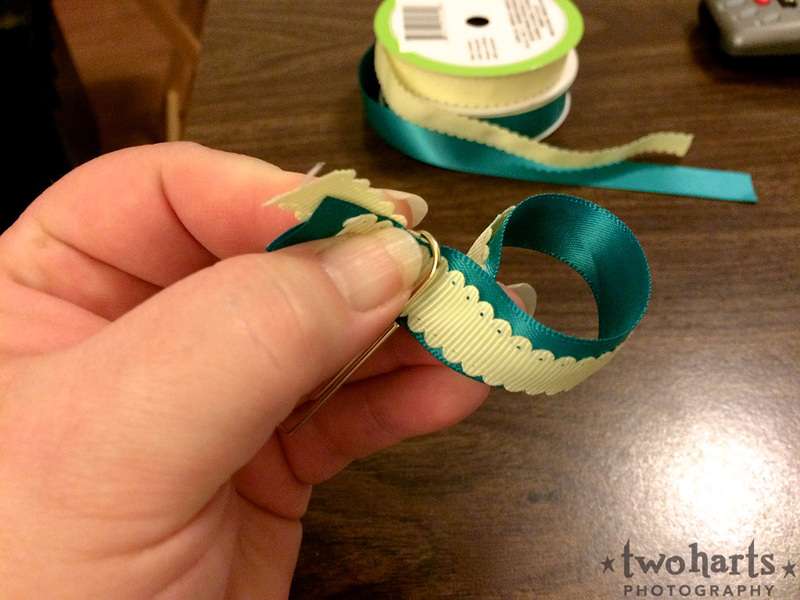 Layer the skinny ribbon on top of the fatter ribbon and fold in half. Step 3: Slide the folded end of the ribbon through the paperclip. 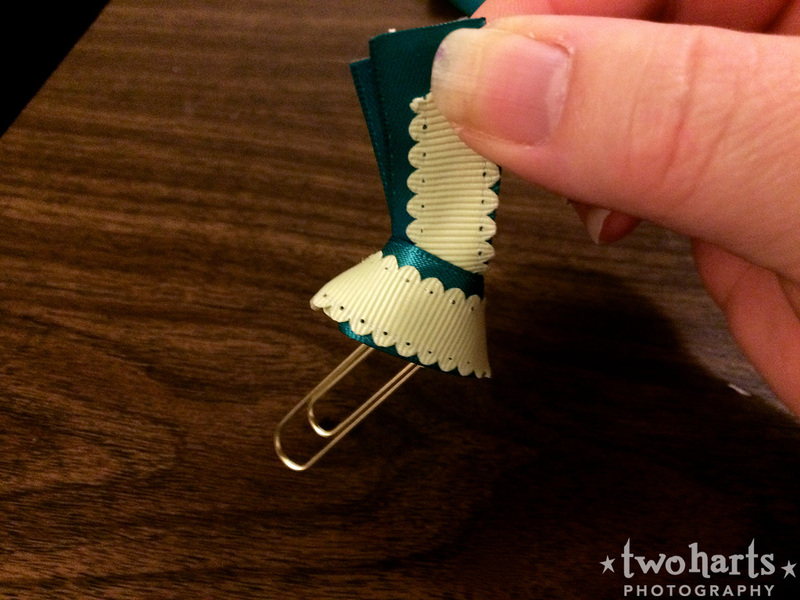 Make sure the two halves that clip onto the paper are pointing downward — you’ll be attaching the ribbon to the part that goes on the top. 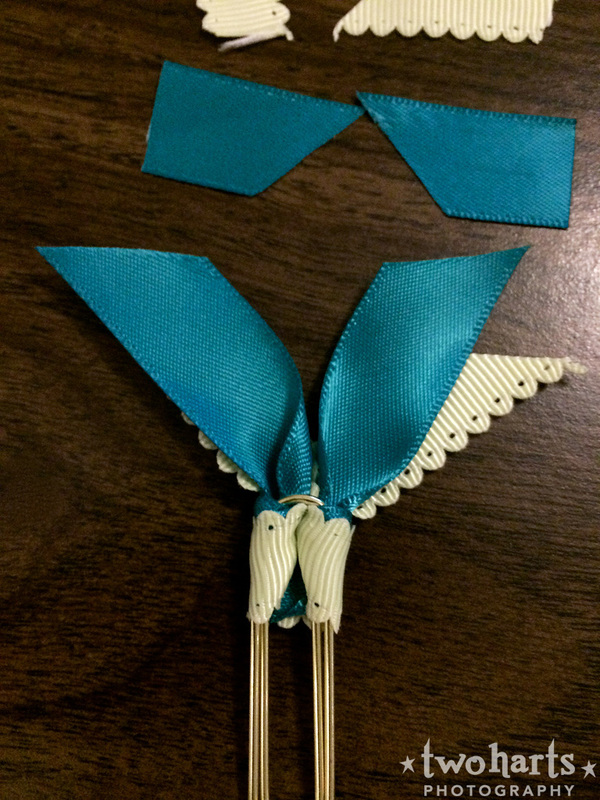 Step 4: Grasping the ends of the ribbons in one hand (left for right-handed people), poke open the folded area. Step 5: Reach through (with your right hand for right-handed people) the open fold and grasp the ends of the ribbons between your finger and thumb so you can pull them through. Step 6: Pull gently. 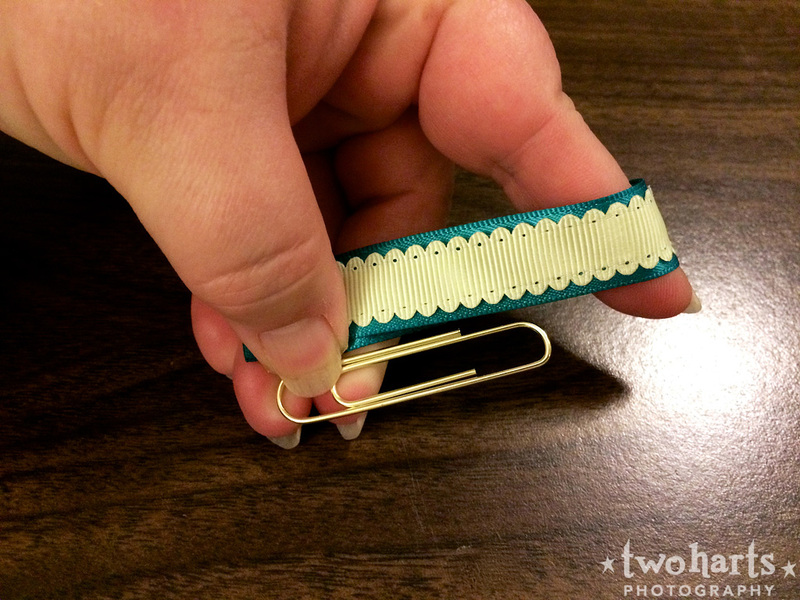 You may need to assist the ribbon that wraps around the clip to lay flat with your other hand. Step 7: Once the ribbon is tight around the clip you may need to adjust the two ribbon ends so they look nice and flare out. Pull the ribbons tight once you have it how you want it. 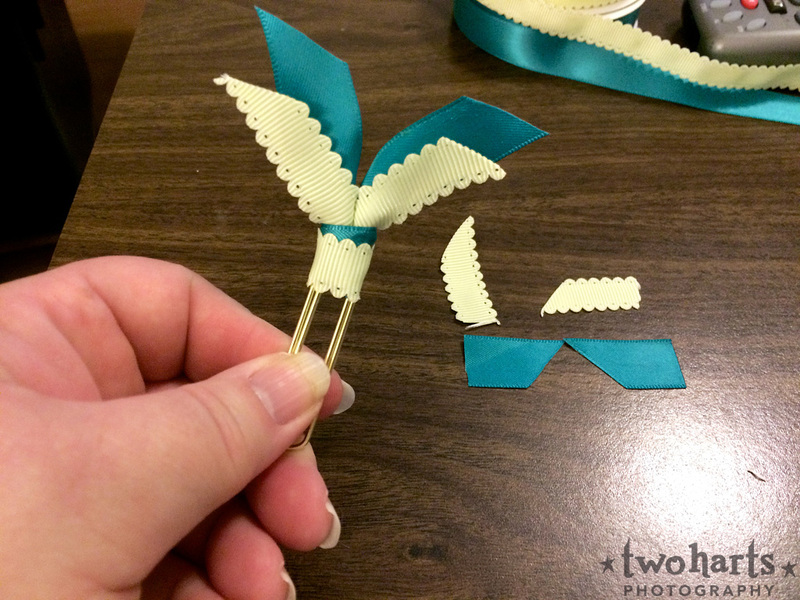 Step 8: Trim the ends of the ribbon to the length you want — shorter ribbons will stand straight up, while longer lengths may arch or flare (depending on the stiffness of the ribbon). I usually trim at an angle. 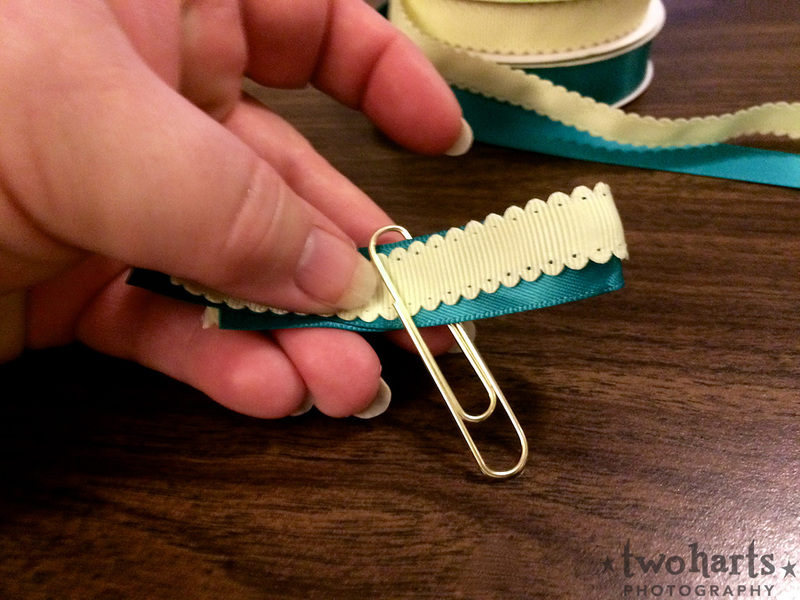 You can optionally use a sewing tool called “no fray” liquid on the ends of the ribbons at this point. Step 9: If your ribbon is very slipery and seems like it’s starting to untie itself, pull it tight and flip over the clip. 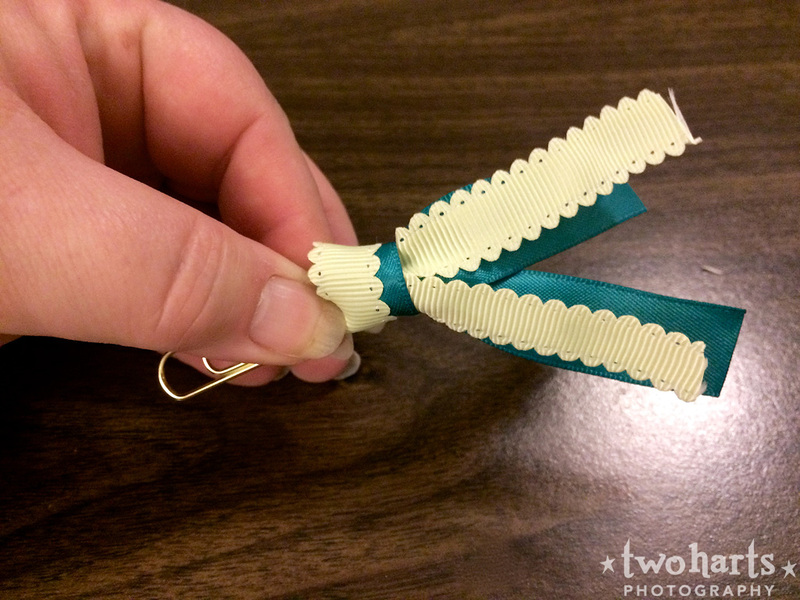 You can put a tiny bit of some kind of tacky glue right where the ribbons meet in the center of the clip arch to keep the ribbons from slipping. Let the glue and no-fray dry (if used) and your clip is ready to use! 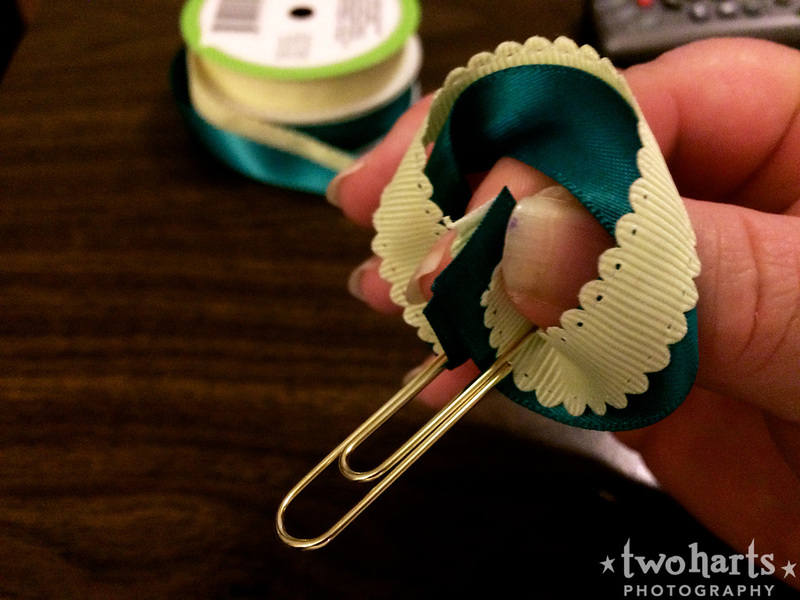 You can decorate it further by gluing a button on the front area where the ribbon is wrapped flat across the clip, or use it as it is. If you have any questions about my how-to please let me know! Thanks for reading.